I bought this set it us beautiful we love it. It looks really nice outside in my patio. The color is beautiful too. Add a touch of luxury and versatility to your backyard and patio with this 8-piece patio furniture set by Corvus. 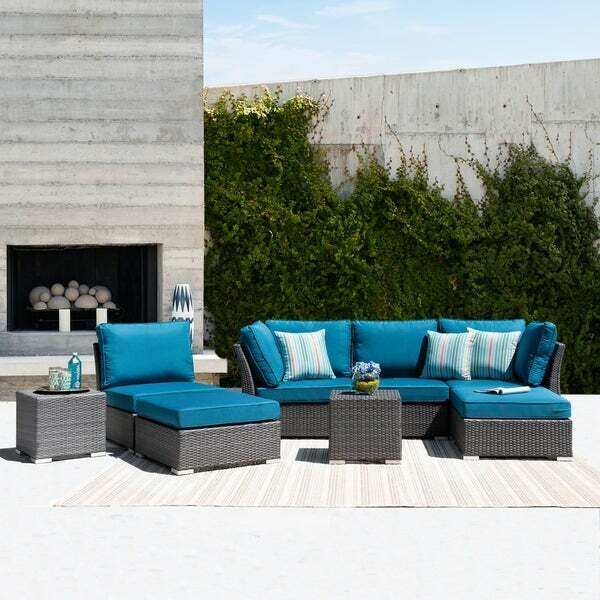 The lightweight outdoor sofa set is crafted with weather and UV-resistant wicker, woven over powder coated aluminum frames. The pieces can be rearranged and reconfigured easily to fit your space, while the cushions provide a little extra comfort and style to this clever set.